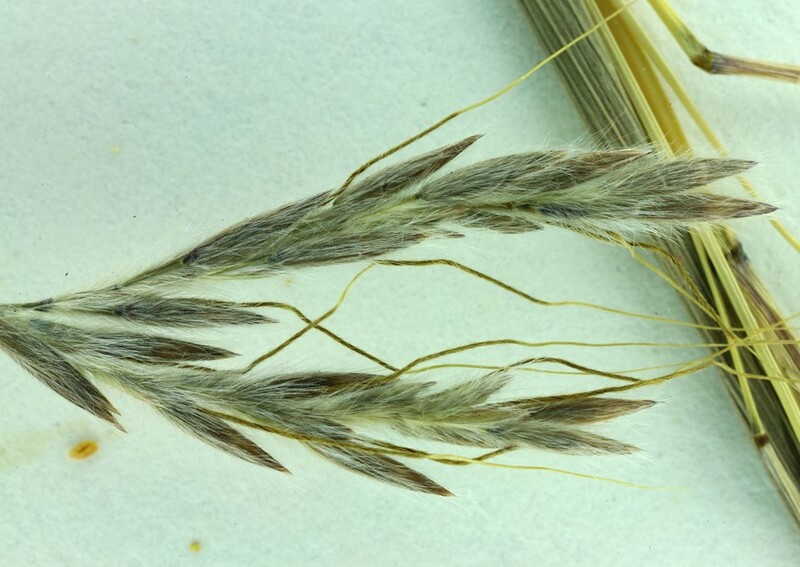 Hyparrhenia hirta (Tambookie grass) is a perennial grass (family Poaceae) that can grow to be more than 3 feet tall and grows tiny yellow flowers at its tip. It is found in the south coast ranges of California. It is native to Eurasia and Africa. It favors grasslands and scrub and chaparral habitat. It reproduces by seed. Animals, wind and water may disperse this plant short distances. It spreads more rapidly along roads than away from roads suggesting seeds are dispersed by vehicles.